Avail from us, the world-class Ethyl Acetate that is an organic compound with the formula CH3COOCH2CH3. It is a colorless liquid with a sweet smell and is commonly used in glues, nail polish removers, etc. 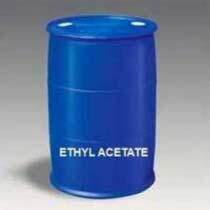 Processed under hygienic conditions, the Ethyl Acetate is the available in the market at very reasonable prices.